Gold panning lessons are available on the hour Saturday and Sunday from 10 am until 3 pm, and Monday through Friday as space allows depending on school or tour group reservations. Lessons are given in gold panning troughs where visitors will learn the proper technique and can find and keep real gold! Panning is $7.00 per person, and large group rates are available. Once you have honed your technique and perhaps caught the gold fever, you may wish to purchase a pan at the mercantile (or bring your own from home) and try your luck in the South Fork of the American River near where James Marshall discovered gold in 1848. Panning is allowed in the river in a designated area during park hours (ask any park employee for information). Gold panning lessons are give behind Bekeart's Gun Shop across from the park museum. Recreational panning is allowed in the river in designated areas during park hours. Check with The Gold Discovery Museum at (530) 622-3470 for details. Please note that these hours are subject to change in cases of extreme heat. Marshall Gold Discovery State Historic Park is proud to offer school or group programs to enhance your experience at the park. 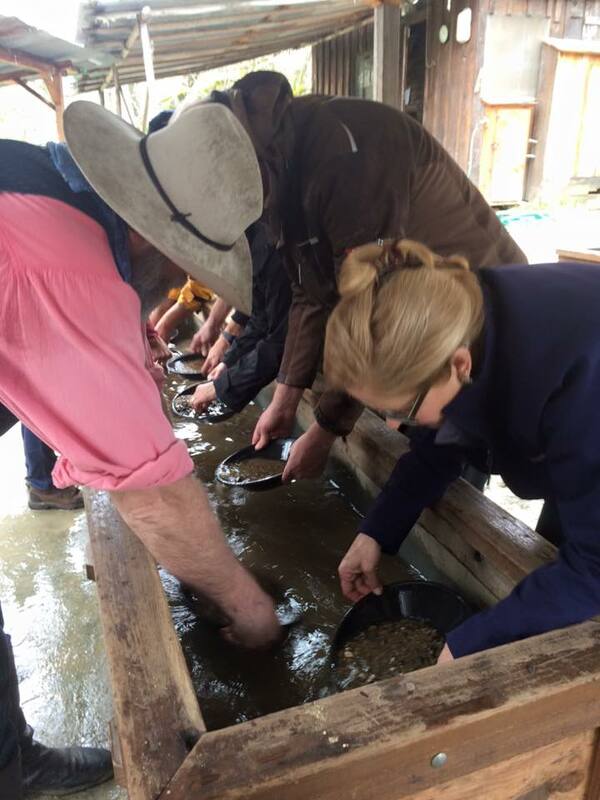 Groups can enjoy a real California Gold Rush experience panning for and finding gold near the site of James Marshall's original gold discovery. During the Poke Program students will learn more about California Gold Rush history while making a leather pouch, or poke, to store their gold. The Wagons Ho Program provides the opportunity to learn items that might have been carried by families traveling to California by wagon. As the items are discussed, students actually load them onto a real wagon in preparation for the journey. The Gold Discovery Tour is a guided walking tour that stops at points of historical interest around the park. 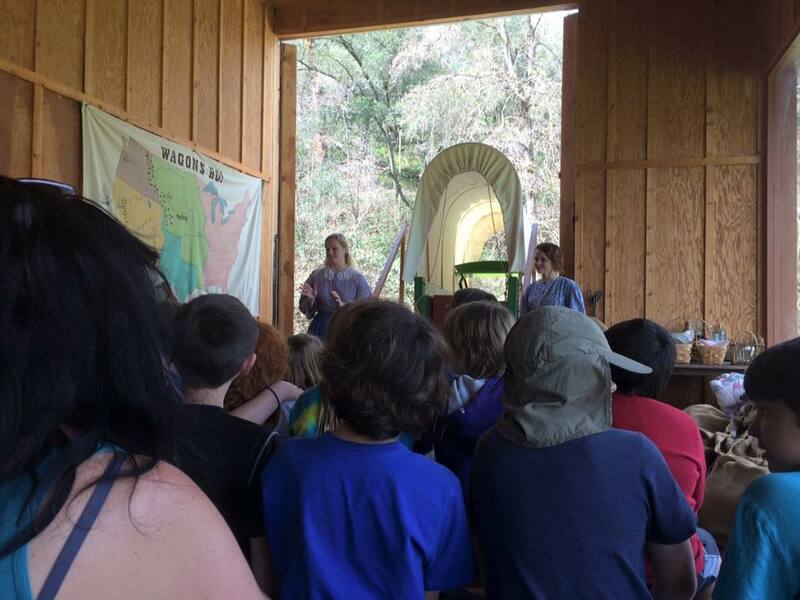 The tour highlights what was going on in the Coloma Valley before the discovery of gold, what was happening when gold was discovered, and how the discovery impacted the area and started the California Gold Rush. Environmental education programs are given by the American River Conservancy ARC located within Marshall Gold Discovery State Historic Park at the historic Kane House. To visit ARC's website for information on programs offered within the park, see this Environmental Education page. 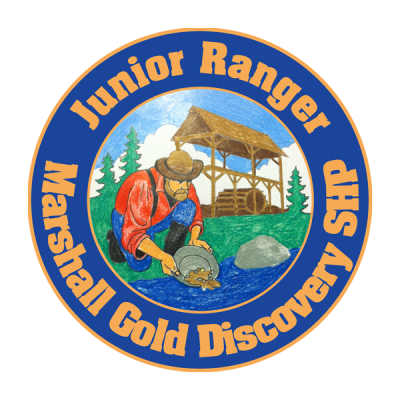 Marshall Gold Discovery State Historic Park offers a Junior Ranger Program to school groups and visitors alike. If you are a teacher and would like to participate please click on the link below to download and print copies of the booklet. Use it just in the classroom, or print copies for students to bring on their visit to the park. Visitors who would like to explore the park using the Junior Ranger booklet can obtain a copy at the museum at no charge. After completion of the activities, your child will be sworn in as a Junior Ranger. If interested, you may purchase a Junior Ranger patch at the mercantile for $2.00.